Being able to improvise is a highly sought after skill among musicians. 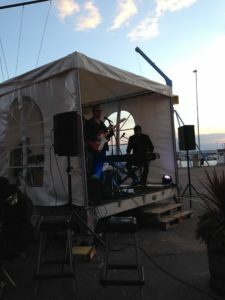 Some blues harmonica players even regard it so highly that they don’t want to learn music theory. I have noticed that the focus on riffs sometimes mean that other forms of improvisation are overlooked. It is important to understand which tools you have at your disposal when you improvise. In this article I outline some tools you shouldn’t forget. David Barret who runs BluesHarmonica.com and who has systemitized blues instruction for a long time teaches chorus forms. They are basically patterns for how you repeat riffs in a chorus. By understanding how they work you shift your focus from finding a new riff to play to thinking about if you should repeat what you just played or play something new. Chorus forms also make it easier for the listener to follow your improvisation. If you think that you might repeat yourself too much (listeners often want more repetition than you might think) you should consider how you present the notes you play. Always playing notes the same way will eventually become boring. Switch how you present the notes either between riffs, between choruses or from start to finish in your solo. Try to use clean notes, dirty notes, chords, tounge slaps, pull slaps, octaves, fake octaves, partial chords etc to keep your listeners intreseted. If you worry about repeating yourself to much then changing how you present notes when you repeat a riff might make yourself feel a little bit more at ease. Dynamics is probably the most underrated and perhaps misunderstood musical tool. By changing the dynamics, that is the volume you play at, when you improvise you will envoke much more feelings in your audience. Let’s be honest, this is your most important job as a musician. 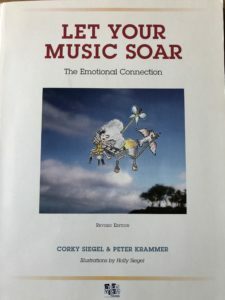 The book “Let your music sore” by Corky Siegel and Peter Krammer is an excellent book/CD combo that explains this concept brilliantly. Using dynamics to improvise is underrated. If you start paying attention to these tools you will notice bif improvements when you improvise. If you need more guidance you can either contact me for lessons or take my online course “Learn to play awesome 12 bar blues harmonica solos” on Udemy (signup below to get a better deal and the Welcome Package) or Skillshare (two free Premium months through the link) whichever you prefer.